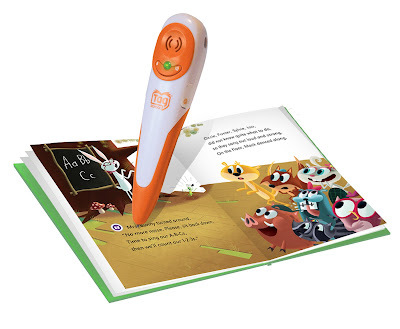 For years, LeapFrog has been doing its share to support literacy in preschool and early grade school classrooms with the Tag. Give. Read. program. 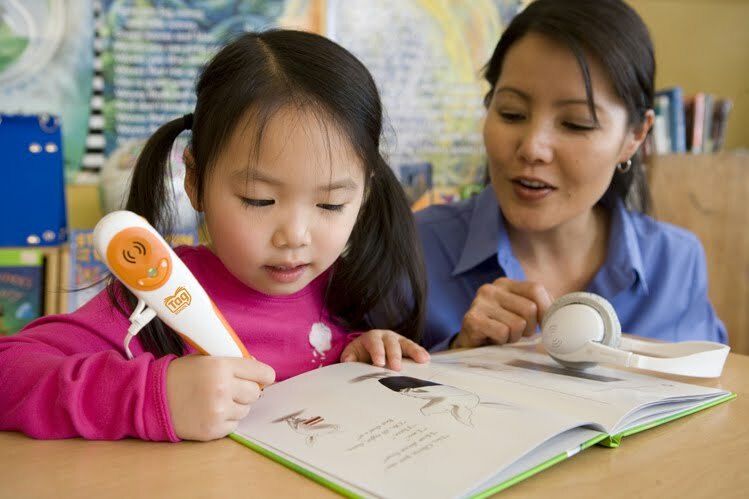 Since the launch of this program in 2009, LeapFrog has donated over $1.5 million worth of Tag Readers and Tag books to classrooms across the U.S., affecting the education of more than 20,000 students. One of those classrooms was a pre-K class from one of our very own local non-profit preschools, so I have seen these Tag School Readers in action first hand. Does LeapFrog want to stop at $1.5 million? Not a chance! LeapFrog and DonorsChoose.org continue to work together to get Tag School Reader Bundles into classrooms in need. If you are not familiar with DonorsChoose, it is an organization that allows teachers to request support for particular classroom tools and equipment that the school cannot afford to provide to them. Then donors can contribute to the classroom of their choice. All these donations of varying amounts add up to reach the monetary goal, so even the smallest donations count. Currently, there are over 200 classrooms requesting LeapFrog Tag Reader systems and books. You can read about each and every one by going to DonorsChoose.org and doing a keyword search for "LeapFrog." To make your donation go further, if you decide to support one or more of these classrooms requesting Tag Classroom Readers, LeapFrog will match your donation dollar for dollar and will continue to do so until they have matched $50,000 in donations. As a thank you for reading about their efforts, you are invited to enter to win the following prize bundle (a $170 value) . . . Thank you to LeapFrog for providing a prize pack for our contest prize and for giving me a DonorsChoose.org gift card for taking the time to participate in this campaign.